Giedre at Yokote Castle during preparation for the Kamakura Festival. 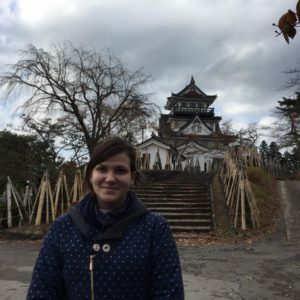 Giedre Brazauskaite is from Vytautas Magnus University in Lithuania and is in her second semester as an exchange student at AIU. First of all, I think I spent my happiest and funniest year in my whole studies time so far in AIU. I was really surprised that here I found more Japanese friends than international students friends because I was expecting the opposite. Also here I found more friends here than in my entire life in my country which I think is the happiest and surprising moment in AIU. Because my major is East Asian languages and studies, in both semesters and the winter program I focused on courses related to Japan. All the classes were really interesting and professors were really professional and knowledgeable about their teaching course. In the fall semester one of the classes I took was Pre-modern history of Japan and so far that was my most favorite class and professor at this university. Also before coming here, I never had a chance to travel around Japan and this study abroad gave me an opportunity to do so and learn more about Japanese culture in different regions. Visiting local schools in Akita through RCOS activities. After I arrived I learned about RCOS activities in the university but I never expected that these activities will be so beneficial. 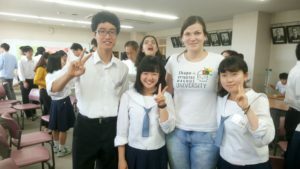 I actually had a chance to go out of campus to meet Akita city students or welcome school students in our university, it not only helped me to improve my English and Japanese but also I was able to talk about my country. 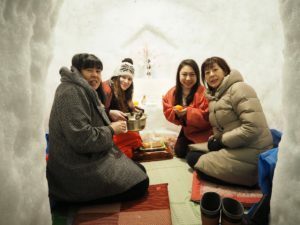 In a "Kamakura", a house built of snow, during the Kamakura Festival in Yokote. Other RCOS activities I joined were Yokote City supporter and Hina-matsuri. In Yokote supporter we had activities of several days where we traveled all around the Yokote city for a preparation for Kamakura Matsuri and on the last day, we had mentioned Matsuri. In the Matsuri we were sitting in the Kamakura and invited people to come and had a little conversation with us while they are drinking amazake and eating mochi. 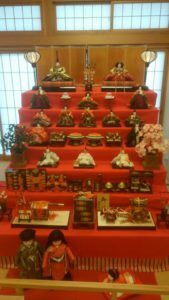 Traditional dolls set out for the Hina Matsuri ("Girls' Day") Festival. The Hina-matsuri we saw dolls in all over the Akita prefecture and they all were different. 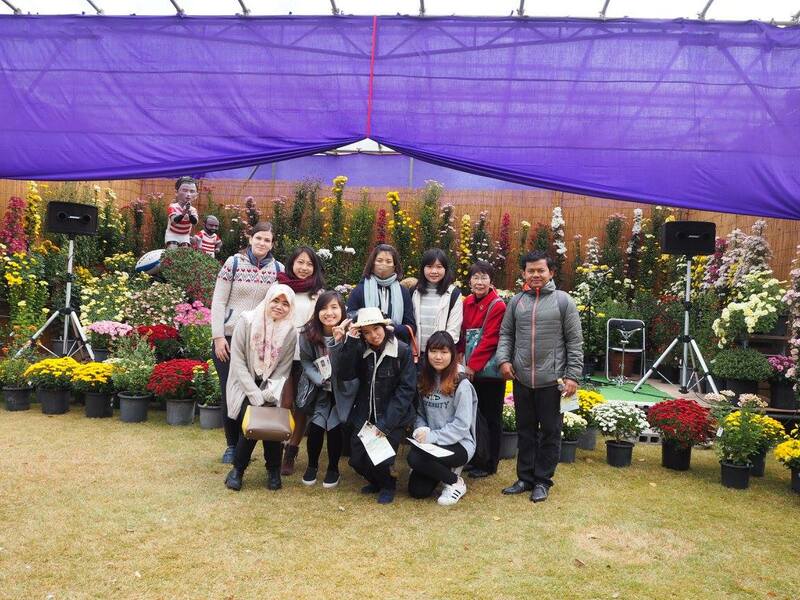 In these activities, I was able to know more about Akita prefecture itself and communicate with senior local people. Overall the experience of coming to study in Japan was really interesting I learned a lot of new things, my Japanese improved a lot thanks to all Japanese language professors. I will never forget the year I spent here and I am thankful to all people in AIU for always supporting us International students!